Despite their small size, Flash Drives can store a huge amount of data. The amount of data you can store will depend on the capacity of your USB. To put this into perspective, a 2GB Flash Drive can store over 900 photographs. At the other end of the scale, a 128GB Flash Drive can store over 60,000 photographs. In this post, we look at how you can keep all of your data safe and secure. Encryption involves a process of encoding your stored data on the Flash Drive. This process essentially creates a partition within your Flash Drive. You can then store your sensitive data in this new area of the Flash Drive. There are online tools that can do this for you, many of which are free. You’ll use the same tool to encrypt and then access the data. Files such as Word documents or Excel spreadsheets can all be password protected. You can do this whether you save your files onto your computer or your Flash Drive. Simply open your document or spreadsheet then follow these steps: File > Info > Protect Document > Encrypt with Password. 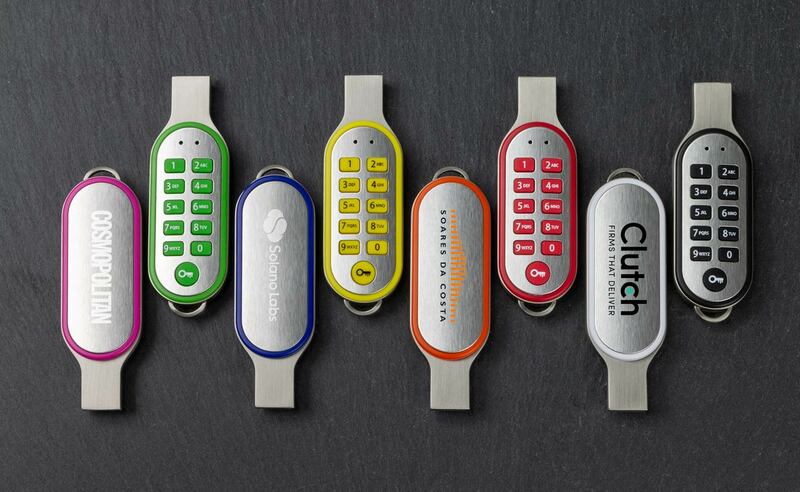 Not all Flash Drives are created equal, and that’s especially true when it comes to our Code USB Flash Drive, which features a unique number pad on the rear of the model. Your data can only be accessed by entering the user-defined PIN combination. Of course, we can Screen Print or Laser Engrave your logo onto the front of the drive. An extremely popular model for Meetings, Events and Conferences. 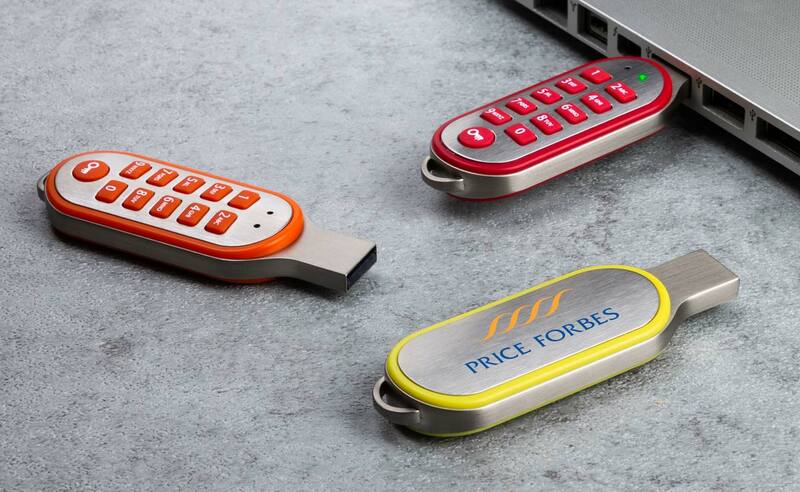 You can view our entire range of Flash Drives here. Click on the Quick Quote button to request our latest prices.